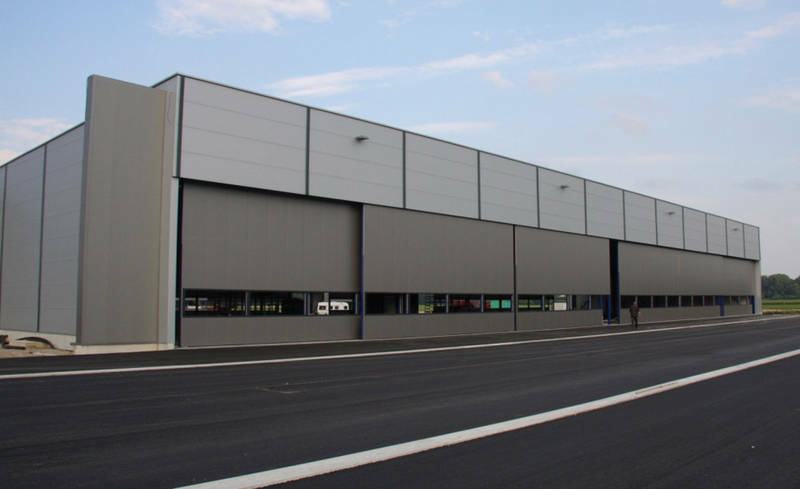 In the course of the airport expansion several new aircraft hangars were built in 2008 and 2014. 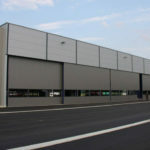 They are used for storing aircraft in addition to the already available hangars. We finally thus managed to overcome a bottleneck that had existed for years. The new hangars can also store larger aircraft for business travel, up to 6.5 m high and 25 m long. 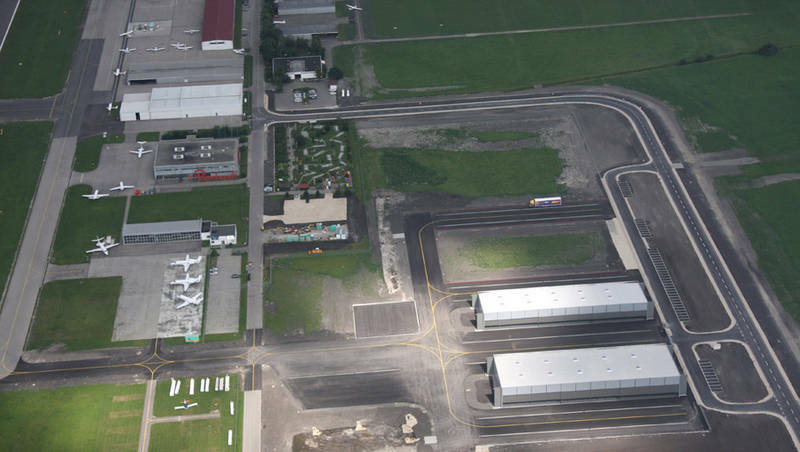 The ground area of the hangars measures: 75 m x 25 m and 75 m x 20 m.
The hangars are built without supporting pillars, i.e. the weight of the roof including the gates rests solely on the walls. 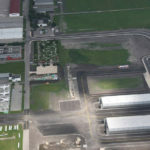 This means that no storage space is wasted and damages when taxiing aircraft can be avoided. Each hangar is equipped with gates over the complete length (75 m) of both long sides so that aircraft can enter from both sides. 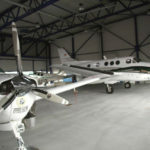 This means that it is less likely that an aircraft already stored has to be moved when another one enters or exits the hangar. Thus the construction of the hangars makes it possible to optimally store aircraft of different sizes. Currently there is only limited hangar space available. It mainly depends on the aircraft type. 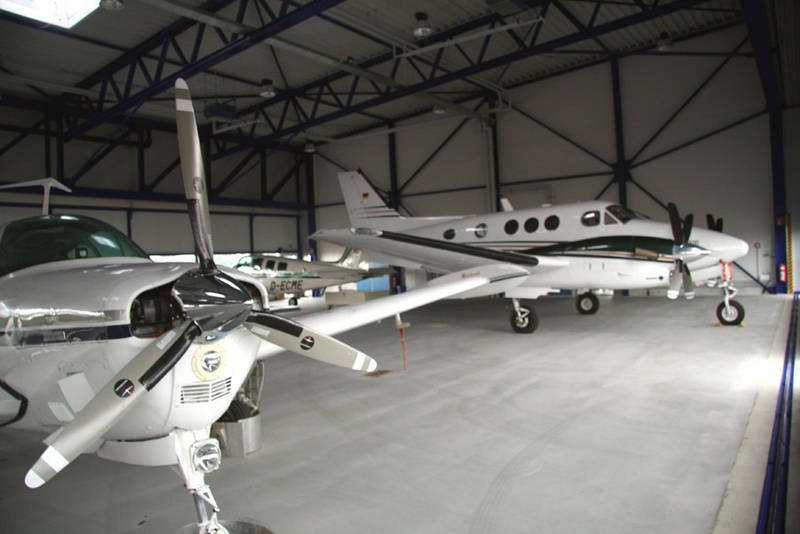 Augsburg Airport offers both, storage space in heated and unheated hangars and also ramp space.